When it gets to afternoon I’m always torn between craving a huge, creamy latte and wanting something a bit more filling and chocolate-y. 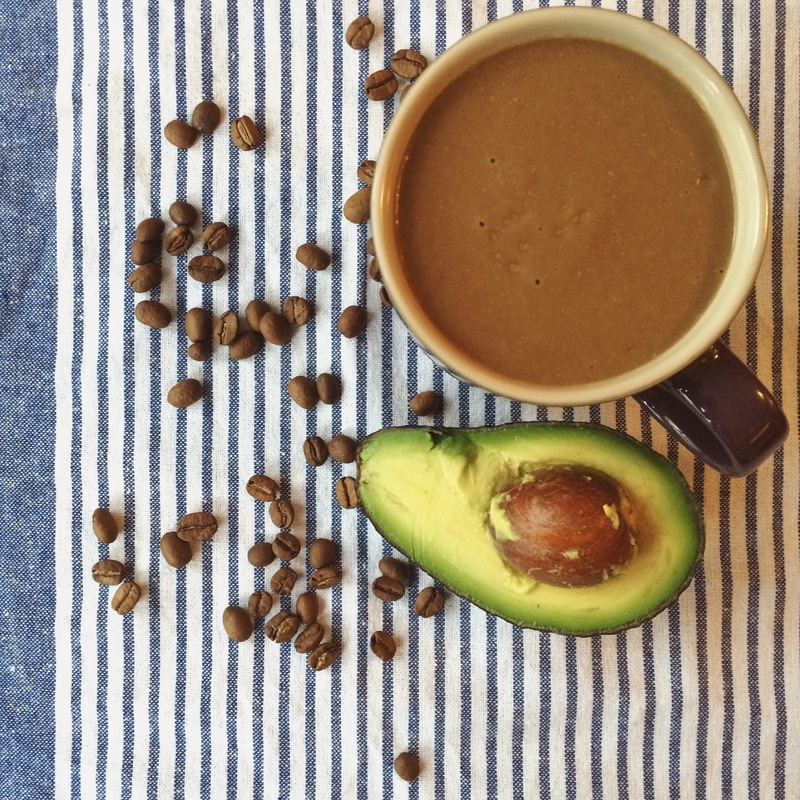 Today I really wanted a chocolate avocado smoothie, and really needed a little caffeine boost to wake me up for my pump class later. 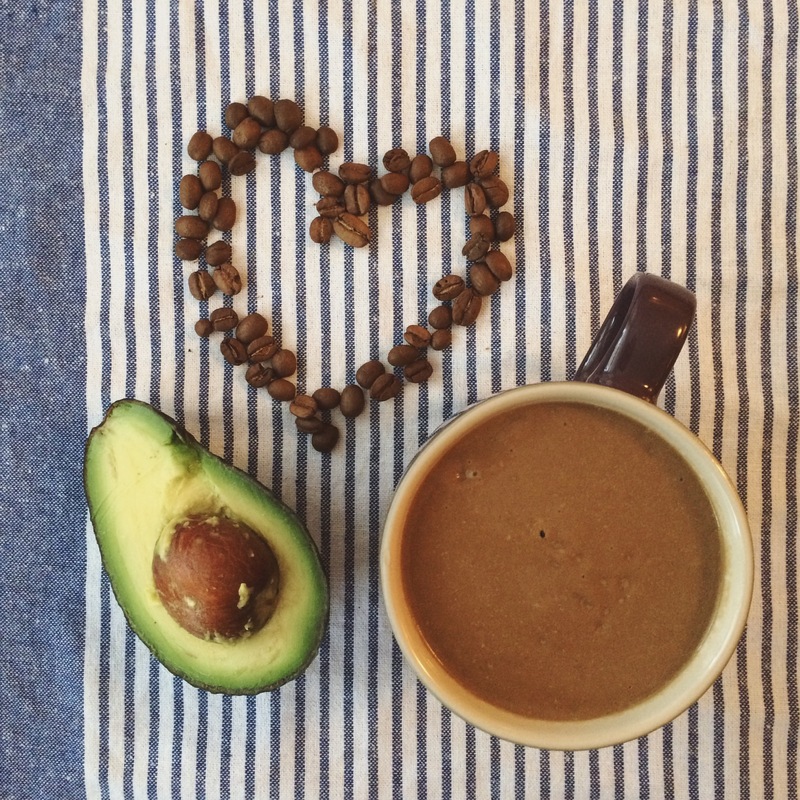 Avo or coffee…avo or coffee… In the end I decided to throw the two together. I’ve just had the most luxurious and delicious pick-me-up afternoon snack ever. If you think I’ve lost it, try this one out for yourself! Throw all the ingredients in a food processor and blend until smooth. Sweeten to taste with agave. This is it – the treat to end all treats. The dessert no other dessert can live up to. 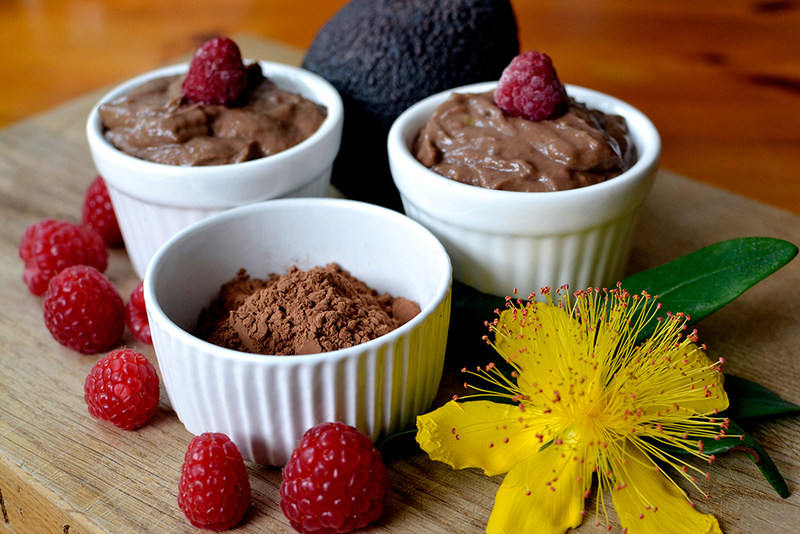 The ultimate bowl of chocolatey indulgence. And best of all: it’s raw, vegan, dairy-free, sugar-free, gluten-free, and full of beautiful ingredients that are good for you. 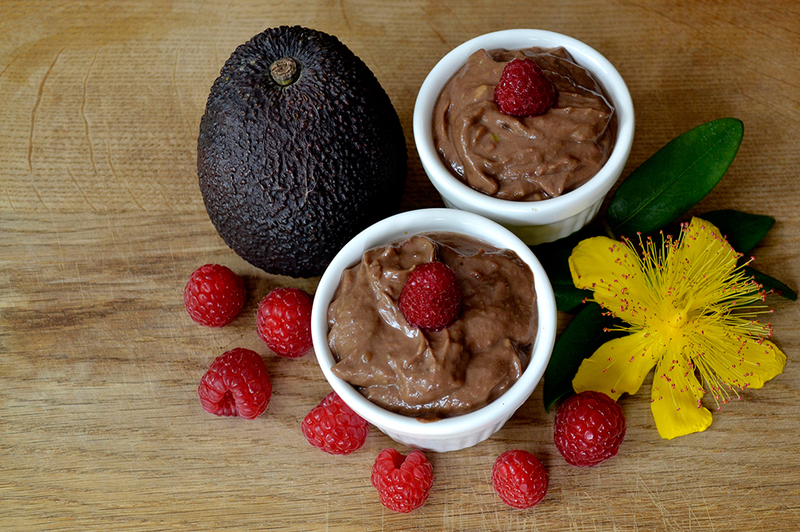 All it takes is an avocado, a handful of dates and raspberries, some cocoa and a dash of almond milk. And it takes about two minutes to make. See, it’s the all-round perfect treat! Put all the ingredients in a blender and blitz until smooth and creamy. Eat and be happy. You can adjust the lightness and creaminess by the amount of almond milk – use less for dark chocolate style, and a bit more for a lighter chocolate flavour. You can also adjust the sweetness by adding a few more dates or a squeeze of agave nectar. 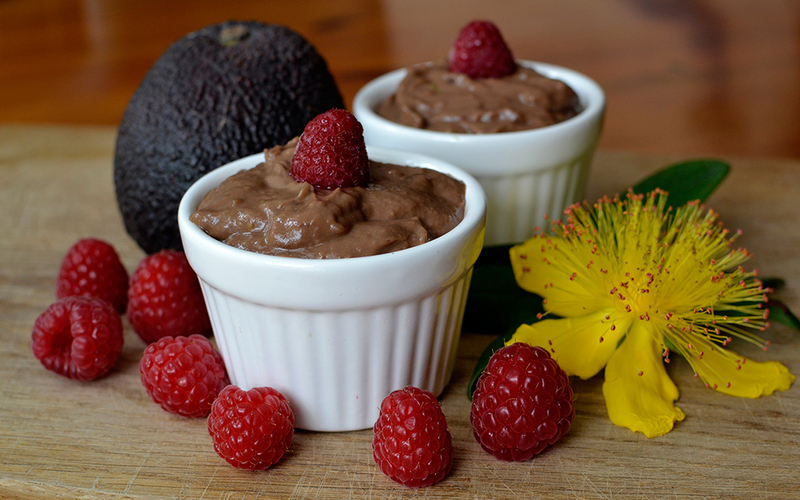 I like this dessert when it’s not too sweet so the flavour of the cacao and raspberries comes through better. And if you want to enjoy this as a drink rather than a dessert, just up the almond milk to around 250ml and you’ve got the best-ever healthy chocolate shake!